Recent Court ruling in Québec: Indian Act must be revised. Will it affect Métis? The battle is ongoing. It’s exhausting to fight assimilation. I am often battered with doubts. Am I Indigenous enough, or – like a select few seem to express (see here and here) – my ship has sailed on Indigeinity because of archaic 19th century laws? How did my ancestors deal with it? The definition of Indigeneity has changed over the years. Laws have been written to remove the *Indian from the person in an attempt to homogenize a vast territory. A recent Court ruling has confirmed what we always knew: the Indian Act was sexist. 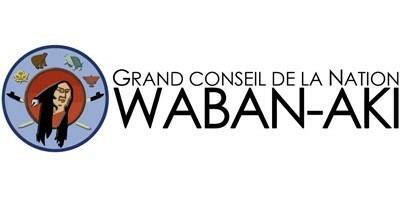 The Waban-Aki Confederation communities of Odanak and Wôlinak brought two cases to the Courts who ruled one that the Government of Canada must amend the Indian Act within 18 months. Before 1985, *Indian women lost their status if they married men without status and their children had no right to be registered as Indians. In 1985, the Indian Act was amended to give back status to the women who had lost it and to give status to their children. However, the British Columbia Court of Appeal ruled in 2009 in the McIvor case that continuing discrimination deprived the women’s grandchildren of Indian status. As a result, the Indian Act was amended again in 2010. What will be the impact of this ruling? The GoC has 30 days to file an Appeal. It is likely that they will. How many generations back will be allowed to apply for Status under the revised Act? How many non-status Indians would this ruling affect? How many will apply as a result? Will the Nations accept these “new” Status persons? Whether by force, promises or coercion, my ancestors became *separated* from their Indigenous communities. If not physically, at least legally, in the eyes of Settler organizations. My community in #Lanaudière was a meeting place for Atikamekw, Ab8naki and Wendat. In the time prior to Reserves, Indigenous people didn’t necessarily keep within their *own* community. Métis such as myself in Lanaudière are an ethnogenesis of French as well as several other Indigenous Nations, who, like us, were *forced* into an urgency of self-identification in order to retain what little rights were afforded to us.